Your satisfaction is important to us. The information provided below summarizes our standard shipping policies. We process customer orders every business day, Monday through Friday. Residential customer deliveries are made by our carriers Monday through Saturday. All commercial deliveries are made Monday through Friday. Our carriers do not deliver on national holidays and Sundays. All U.S. military shipments are shipped via the U.S. Postal Service. Our goal is to ship all orders within one business day of payment verification. Orders requiring expedited service must be received, processed, and have the payment verification process completed by 12 PM EST to be shipped that same business day. **Also, please note that we cannot process orders with Post Office Box addresses. Economy shipping is an economical way for customers to save on shipping costs when expedited delivery service is not necessary and shipping in the continental U.S. Typical transit time usually average 5 business days. Deliveries to certain remote areas may experience slightly longer transit times. You will receive a tracking number and an estimated delivery date via email once your order has been shipped from our facilities. Depending upon an item’s weight, warehouse location, quantity, and your address the order may ship either FedEx, DHL, or USPS. Some customers may choose to utilize the Standard / Ground selection for deliveries within the continental U.S. Delivery times vary by location; Transit times usually average 4 business days following shipment from our warehouse facilities. Depending upon an item’s weight, warehouse location, quantity, and your address the order may ship either FedEx, DHL, or USPS. If order is placed on a Monday before 12 PM EST, the order will be delivered that Tuesday. If order is placed on a Thursday before 12 PM EST, the order will be delivered that Friday. If order is placed on a Monday before 12 PM EST, the order will be delivered that Wednesday. If order is placed on a Wednesday before 12 PM EST, the order will be delivered that Friday. If order is placed on a Monday before 12 PM EST, the order will be delivered that Thursday. If order is placed on a Tuesday before 12 PM EST, the order will be delivered that Friday. Expedited orders are not delivered on Saturdays. Orders for expedited service must be processed by 12 PM EST to be shipped that day. We cannot accommodate requests for expedited service for orders paid with money order, check or Paypal e-check. Customer orders to Alaska, Hawaii and Puerto Rico are shipped via 2 Day. Typically, these orders are delivered within 2 business days to most areas in Alaska, Hawaii and Puerto Rico. We do not offer ground service to these locations due to remote location limitations that often arise via typical ground and/or home delivery service. Orders to Canada are shipped via standard international economy service. Delivery to most locations within Canada is typically within 2 to 3 business days from the time the orders leave our facilities. Military orders and items shipped directly from our manufacturing partners may take more than 2 to 3 days to reach you. Please note that all Canadian shipments are subject to Canadian Sales Taxes (both Federal (GST) and Provincial (PST or QST)). Please contact your local customs office for more details. These taxes are paid by our carrier and customers must reimburse our carrier for these charges at the time of delivery. All shipments outside of the U.S. must include a commercial invoice. The declared value for each shipment will be based on the retail value of the items included in the shipment. We are prohibited by law from lowering or changing the amounts for any declared values. In accordance with the North American Free Trade Agreement (NAFTA), shipments from the U.S. to Canada are eligible for preferential tariff treatment. Shipments outside of the U.S are subject to inspection by customs and border security authorities. All APO/FPO shipments must be shipped via the U.S. Postal Service Priority mail. All orders are shipped from our facilities within one business day of payment verification. These shipments periodically take from 2-4 weeks for delivery. If these shipments are not delivered within 75 days or more, a claim can be submitted with the U.S. Postal Service. Please contact us for details. Our goal is to ship all international customer orders within one business day of payment verification. Certain items usually ship directly from the manufacturer and are not stocked in one of our warehouses (including custom clubs and personalized items) which must first be shipped to us from the vendor. These items may take up to 4 to 6 weeks before shipping to the destination country. We do not make partial shipments for international orders; thus all international orders will ship once all items are in stock. 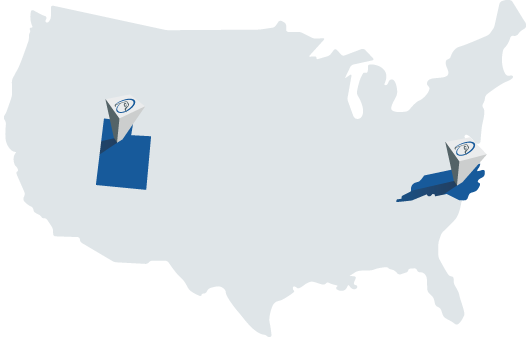 We ship products to our customers in over 125 countries from one of our two facilities in Raleigh, North Carolina and Salt Lake City, Utah. We utilize the services of large international parcel delivery carriers (DHL and FedEx) that operate throughout the world. Generally, international shipments to most major metropolitan areas are delivered within 2-5 business days after leaving our facility. You will be provided with the order tracking information after your shipment has been picked up by one of our carriers that will allow you to track the progress of your package online. A flat rate of $29.99 USD is charged for all customer deliveries to Alaska, Hawaii and Puerto Rico. Shipping rates used for deliveries to all international customers, including Canada, are based on the weight of the items ordered as well as the zone of the shipping destination. To provide each customer with the most competitive shipping rates, we have grouped all items into four product categories and all international countries into five zones. Shipping rates will be based on the highest product category of any item purchased and the zone of the shipping destination. No add-on rates apply. Shipping charges are included in Your Shopping Cart for your order and vary based on the items in your cart. Click on the "Select Shipping Location" – and choose "International"
The total shipping and handling cost will be included in Your Shopping Cart. If your country is not listed in the "Select Country", we do not ship to that location. Shipping rates used for deliveries to all international customers, including Canada, are based on the weight of the items ordered and the shipping destination. To provide our customers with the most competitive shipping rates, we have grouped items into multiple product categories. Shipping rates will be based on the highest product category of any item purchased and the shipping destination. No add-on rates apply. Category 1 – All apparel, golf gloves, and towels. Category 2 – All golf balls, shoes and accessories. Category 3 – All single golf clubs. Category 4 – All iron sets and carry, cart and stand golf bags. Category 5 – All staff golf bags and club sets. Category 6 – All pull carts, travel covers, coolers and luggage. If your country is not included above, we do not ship to that location. Note: Shipping rates are subject to change and the rates shown during checkout represent the current rate. Shipping rates may not include duties, taxes, and other import fees. All of our international shipments include a commercial invoice. We represent all of our products as merchandise and the declared value for each item will be the exact price that you paid for it. We cannot, under any circumstances, lower the declared value or mark the package as anything but merchandise. We note shipping charges on the commercial invoice as required by the carrier. We do not include the shipping charges in the value of the items purchased.